2 slots for two standby DC power supply modules (-48V). All modules have “hot” replacement function. 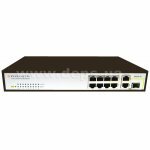 CSM module combines management functions with non-locked commutation (1 EPON port per 1 GEthernet uplink) level L2/L3, its effective capacity amounts 48Gbps. 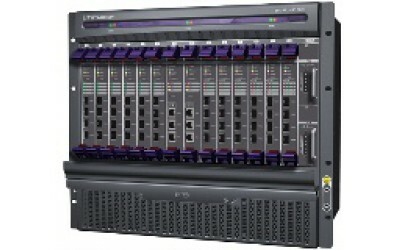 At availability of two modules CSM chassis provides its combined operation as per double star circuit. 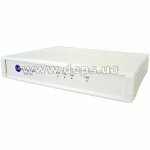 GEM04 module equipped with 4 ports for SFP modules allows performing concentrator connection to outer IP network. 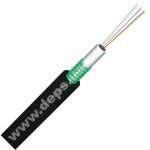 EPM04 module provides connection of 4EPON lines. Availability of universal slots allows flexible equipping and stage-by-stage increase of commutator efficiency with required ports (GEthernet or EPON). 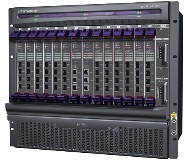 At full completion due to its architecture, BBS 4000 allows to connect up to 44 EPON «trees» (up to 1408 ONU) maximum and provide hot backup of critically important elements (CSM and power supply). Power consumption: at full loading: 438 W max.